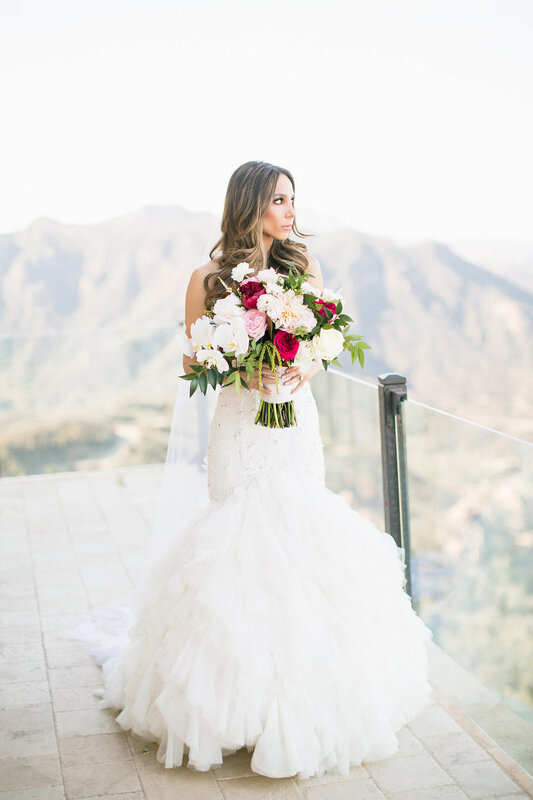 It is such a pleasure to work with a bride who's response to just about everything is, "sure! whatever you think will look amazing!" 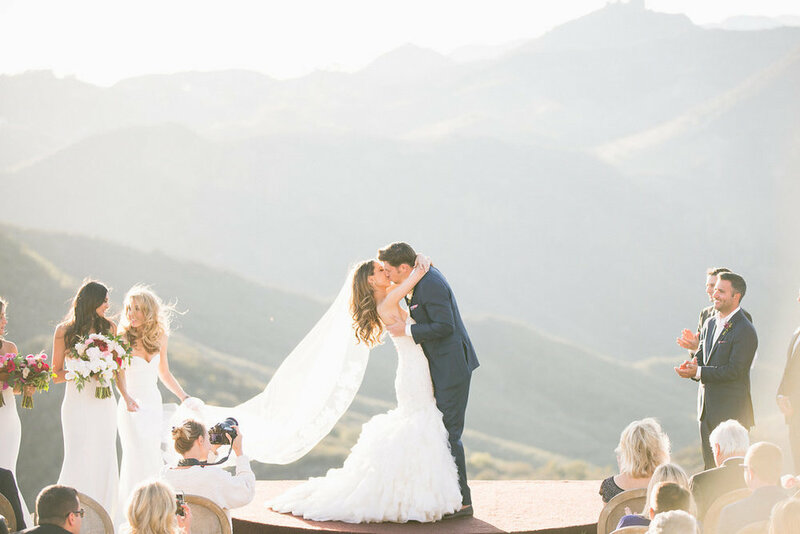 Annie was a dream client from day one - she knew what she was looking for and was able to described her vision and communicate what she liked. Throughout the planning process, I would present her with ideas (hey, what do you think about doing your place cards so they ombre from the A's to the Z's?) and she trusted my judgement to make it happen. 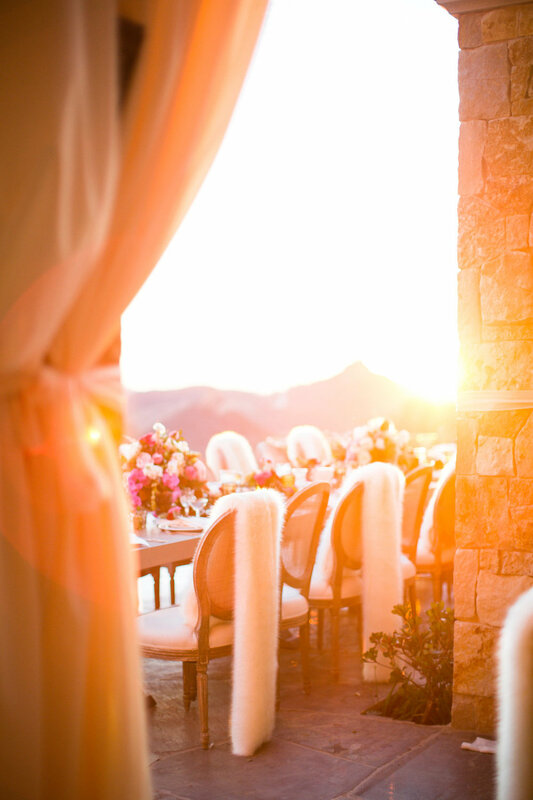 Her wedding to her amazing husband, Matt, was a day made of sunshine and smiles with a to-die-for view! 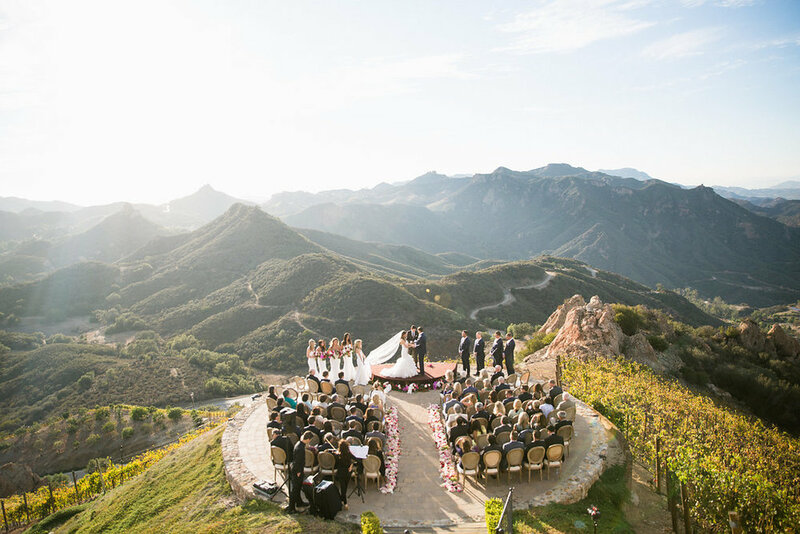 A gorgeous view, intimate wedding and cozy atmosphere. 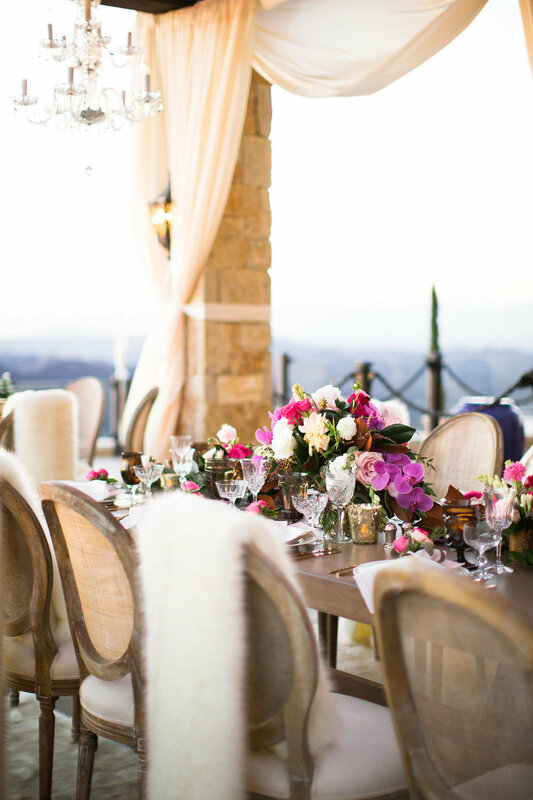 Together, Annie and I created her reception pieces, using taupe pink watercolor and gold foil and calligraphy. Her menus were each hand water colored and deckled with her menu details printed in gold foil. Each menu was just the slightest bit different, and lined up on the table those details were noted by guests. 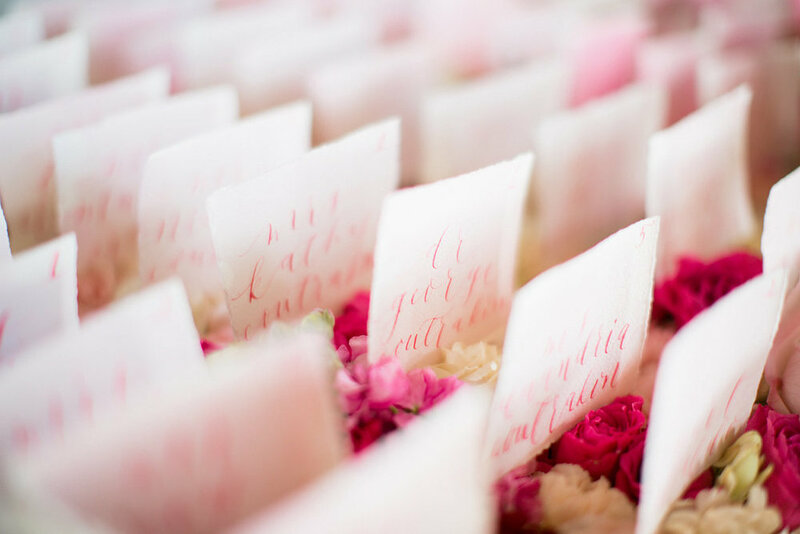 Her place cards were also all hand watercolored, with the guests names in dark pink to white calligraphy. 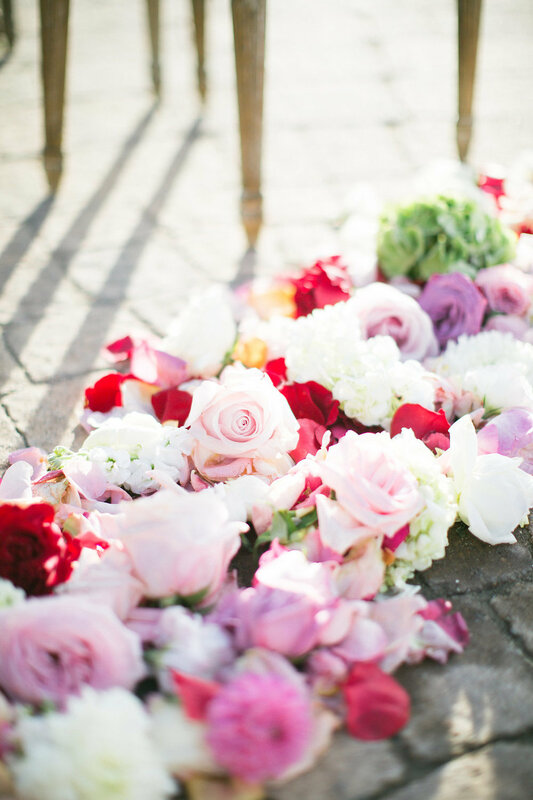 All the place cards were then arranged on a bed of flowers. Each of her table numbers followed the same theme of watercolor topped with gold calligraphy.